Thanksgiving is only a few weeks away, and Christmas is following quickly behind it! Celebrating the holidays means gathering with family for treasured traditions, none of which are more well-loved than baking together. If you’re a master baker known for your festive treats, but feel limited by a lackluster kitchen, it might be time to consider a remodel. 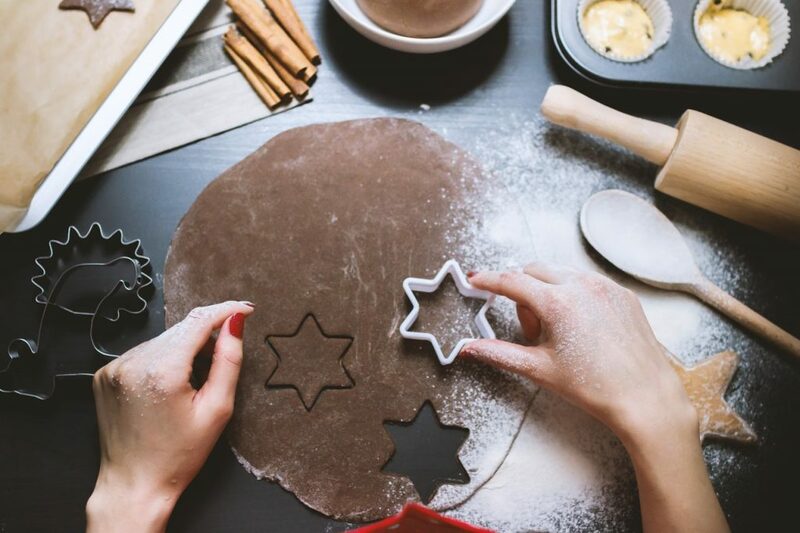 There are lots of big and small changes you can make to equip your kitchen for creating holiday treats. Need a little design inspiration? Read the list below of our favorite baking-friendly kitchen upgrades and additions! Easy access to tools, equipment, and ingredients is always a good idea when your hands are sticky with cookie dough! Open shelves are trendy, look beautiful, add display space, and make cooking a bit less chaotic – what’s not to like? Cabinetry design has come a long way in even the last ten years. From upright storage for baking sheets to pull out bins for ingredients to orderly spice drawers, there are countless options for getting your kitchen organized! Most baking requires a lot of prep space and specific tools. If you have the room, it’s a smart idea to set up a dedicated area for your supplies to call home. This approach is especially helpful if you frequently use a heavy duty mixer (like a KitchenAid) when you bake. Baker’s often own large cookbook collections, so why not put them on display? Books are a classic and colorful decor element, plus it’s nice having them at arm’s reach when you’re searching for culinary inspiration! Lastly, if you value welcoming friends and family into your kitchen to bake with you, then make space for them. From island seating to corner booths to hidden step stools, there are so many fun ways to cater to cooking with the people you love.